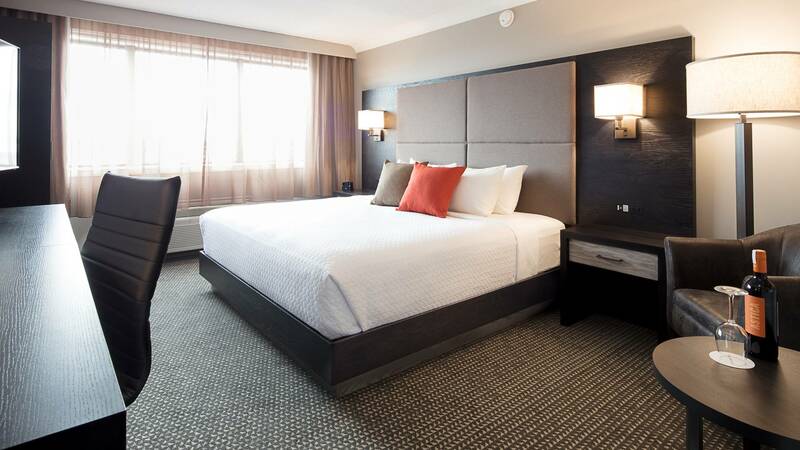 Crowne Plaza Hotel Moncton boasts a wealth of modern amenities and is ideally located in downtown Moncton, just a few metres away from shops, theatres and restaurants, and a few kilometres away from New Brunswick attractions such as Magnetic Hill and the Bay of Fundy. Enjoy the hotel’s Fitness Centre, heated, indoor saltwater pool, jacuzzi, steam room, convenience store and coffee shop and try the onsite T-Bones Restaurant and Bin 1005 Lounge for a relaxing evening drink. 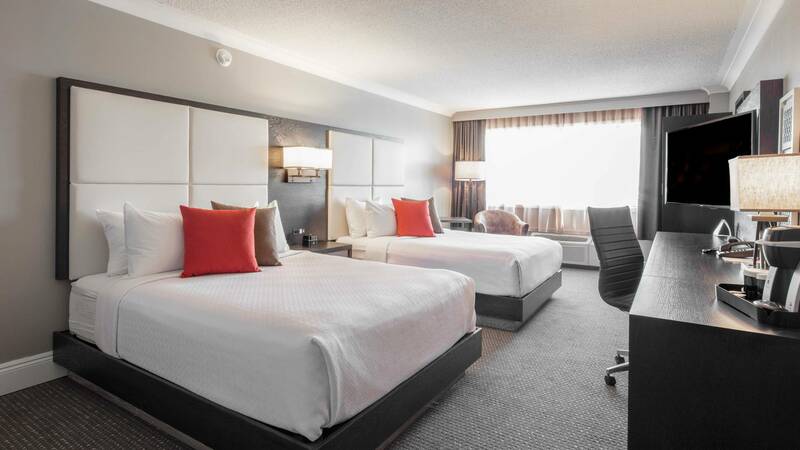 Guestrooms: Available in a variety of room configurations and bed sizes, including queen, king and two doubles beds. All rooms have a private bathroom, TV and workspace. Kids Suites and connecting rooms are also available. Executive Club Level: More spacious than a guestroom, with a sitting area. Suite: A spa-like bathroom, a living room with a TV and a workspace. You can relax in the Jacuzzi Suite or choose the Feature Suite with separate parent and child rooms. 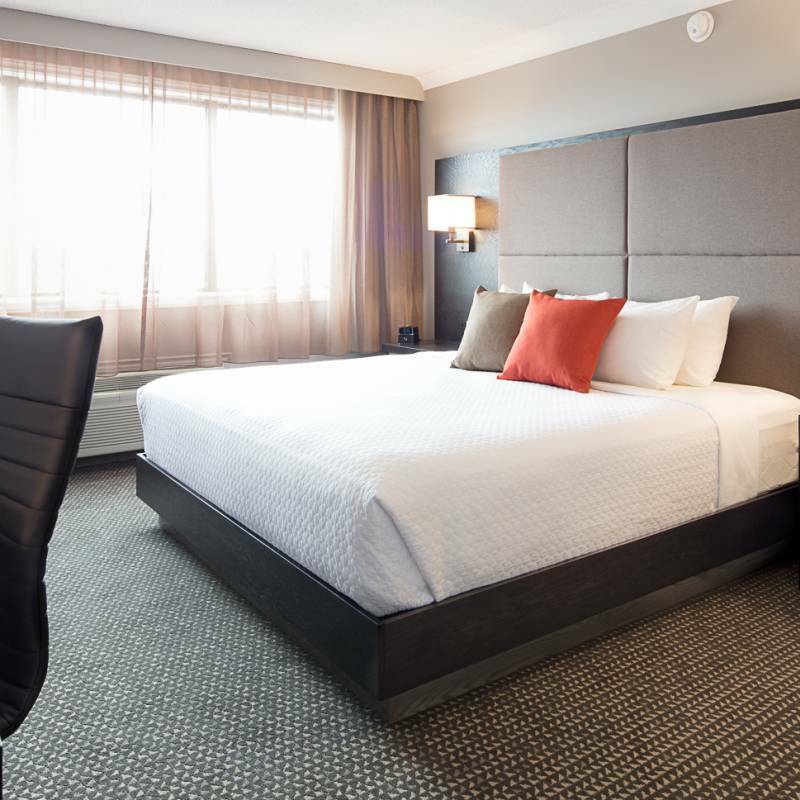 Crowne Plaza Moncton is great for couples and business travellers, but it is nice to find a hotel that also caters so well for families. As well as offering Kids Suites, the hotel is near to Crystal Palace indoor theme park, and the Zoo and Magic Mountain Water Park are also close.